It’s been a year since my Europe adventure and I figured it was time to start putting together this scrap book that I’ve been putting off for too long. In the process, I thought I’d share some tips, memories, thoughts, and of course, photos of the trip that gave me the incurable travel bug. I landed in Heathrow full of jittery nerves. An old collegue had graciously offered to let me crash at his place but he wasn’t available until late in the evening so I grabbed a map and figured out what metro line I needed to take to get into the centre of the action. Coming from Toronto with only 2 subway lines, looking the underground lines were a little over whelming at first. I picked up an oyster card and made my way to Piccadilly circus. It only took walking around for an hour before I realized that I had to do something with the giant backback that I was carrying. I popped into a museum and checked in my backpack, hoping that it would be ok for a few hours. I’m not sure if maybe people don’t leave their giant backpacks there often, or maybe I have a very distinct face, but the guys at the counter recognized me immediately when I came back hours later to pick it up. My first 5 days in Europe was quite the start to my adventure. Here are some highlights, lowlights, and lessons learned from London. 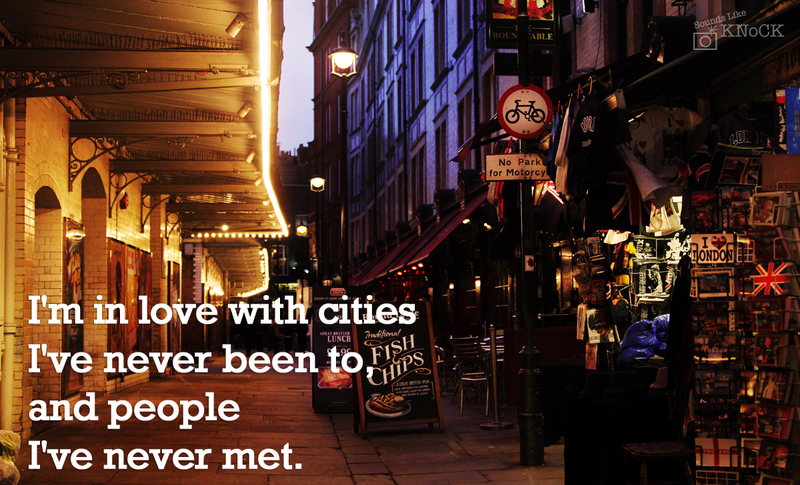 London is an easy place to start if you’re nervous about travelling on your own. Everyone speaks English so you don’t have to worry about the language barrier as you try to figure out how to get from point a to point b. The metro system is very easy to use and they have some great apps that help you map out the most efficient route (Just search the “London underground tube map” in the app store). I was there for 5 days so I opted to get the oyster card for reduced fares. Check the temperature before going. I don’t know why I assumed it would be warm there. The nights were 0 degrees and my friends flat was so cold that I had to sleep with hot water bottles as to not freeze to death. Pubs close early and stop serving food really early. I was hungry so many nights and I typically like to grab some food while at a pub drinking.. but turns out many of them stop serving food quite early so plan on having a snack before going out. I do not fare well with jet leg. I slept in until 11 almost every day for 4 days…and then wouldn’t be able to get to sleep until 5am. FORCE yourself to wake up early so that you’re exhausted and fall asleep that night. I wasted many mornings sleeping in. Camden market is a great place to get little trinkets and souvenirs for people. Though if London is your first stop, remember that whatever you buy here, you will have to lug with you throughout the rest of your trip. The overnight bus to Amsterdam is terrible. Unless you’re super fond of bus rides, avoid taking this bus! If you book your train in advance, you can get a really decent fare from London to Paris or Amsterdam. Since I left this all to the last minute the train was crazy expensive so I had to resort to the longest bus ride of my life. One of my besties, Rachel, met up with me in London on my last day there and we decided to head to Amsterdam next. Maybe we’re just incredibly unlucky when we’re together, but this ride…so it’s only 13 hours.. but on a bumpy bus that was cold and was full to the max… makes 13 hours feel like forever.We sat in the back row on either end of these two bigger men. It was freezing and the bus was really rocky. As we started to fall asleep, we were woken up to go through customs. And then woken up again to go on the ferry. This ferry… seemed so peaceful. We found this nice quiet bench and laid down and stretch our legs out… and it seemed like bliss.. for 30 seconds until the whole floor filled with more french students than I have ever seen in my life. And they were LOUD! It felt like I was inside of a vacuum. But somehow.. we managed to fall asleep on this ferry.. only to be woken up when one little french student got shoved by another and fell into me. All of a sudden, I’m in the middle of the cat fight with all these French students yelling out things that I don’t understand. And then after all that, we get off the ferry, to get back on our bus to drive for a few more hours. The whole experience was surreal and left me seriously sleep deprived. The brits make some seriously good pot pie. There is a lot of free wifi available everywhere so you can be fairly connected if you want to be. Thanks Heather! I have the travel bug so bad right now and looking at all these old pictures isn’t helping. I need an adventure, stat!